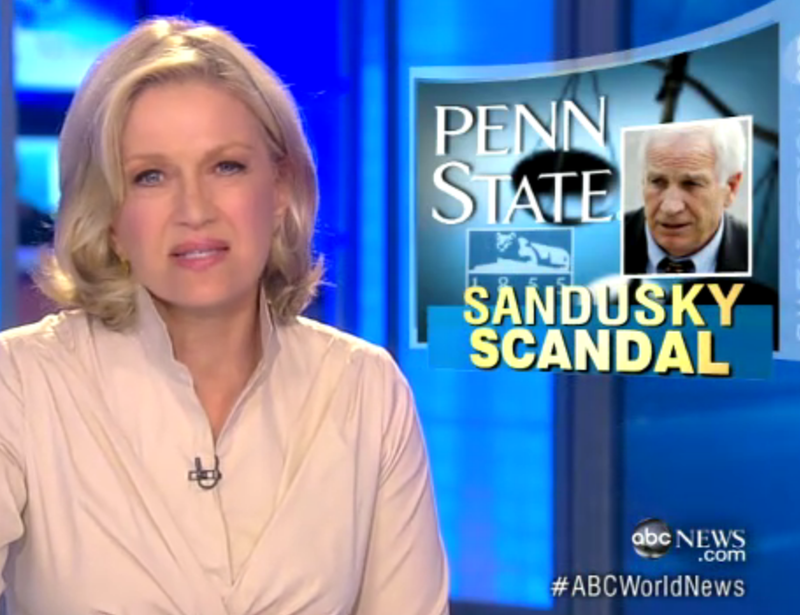 Dan appeared alongside Diane Sawyer on ABC’s World News last night to discuss the latest development in the Penn State football child abuse scandal. Yesterday, a report was released following an investigation by former FBI director Louis Freeh on the university’s handling of allegations of misconduct against Sandusky dating as far back as 1998. The report singles out actions of Penn State officials in a harsh light. “I think the report is making it clear that… instead of saying ‘what do we need to do to protect kids in the future,’ they were saying ‘what do we need to do to protect the football program?’ And that was the fundamental problem with the culture that this report is exposing,” explains Dan. So what is the lesson to be learned about seeing something and saying nothing, asks Diane? “When you have a position of power, like these people did, you have an obligation… and I think this is going to be a message heard loud and clear at universities around the country,” responds Dan. Watch the full video here.